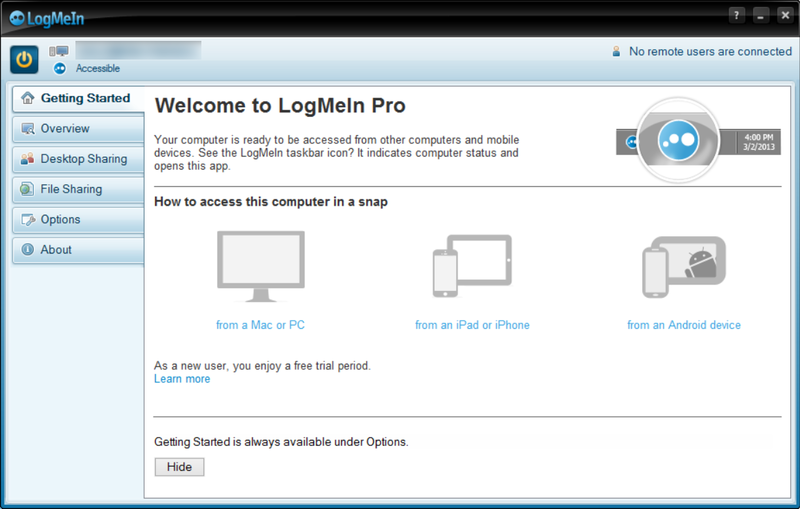 "Access your computer from anywhere with LogMeIn." You’re out on the go and you just realized that you forgot to send off that email, print off that assignment, or finish putting in those numbers. We've all been in this situation or one very similar before and it is not a great feeling at all. We've forgotten something at home on our computers. It could be a file that we forgot to transfer to our usb drive before we left home, or we could've even left the entire drive at home after transferring the file. Don’t panic. With LogMeIn your files are only a few clicks away. For many, many years, the possibility of recovering information that was lost, stole, left behind, or forgotten was impossible. If the unfortunate happened to you, you were out of luck. There was no way to recover or re-access these files from another location other than your hard drive. With the invention and implementation of email services, this problem was reduced greatly, but it still remained, because if your dependent on your email, what do you do when your email does not send out? What then? At that point you need something more. 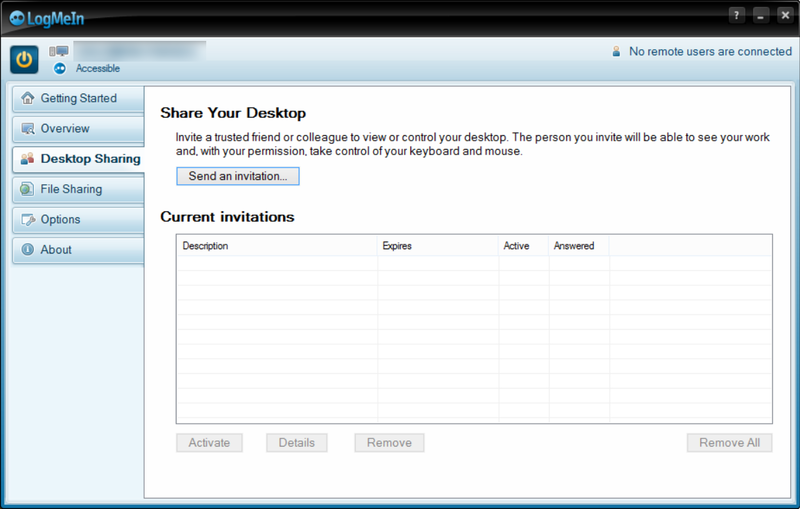 You need an application that can access your data from anywhere, from any computer or mobile device, at anytime. You need an application that allows you to have full control over your system, not just the files on it. You need a reliable application that doesn't have major server outages so that your information is accessible even at the most clutch of moments. 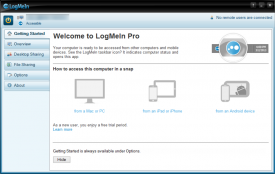 LogMeIn is the application that you need. With it, you can access your files from desktop or mobile devices so that no matter what you've left behind, you can access it in multiple ways. Expand your window full-screen and work as if your computer was right in front of you - with a feature like this, it might just be best to leave your computer behind every day! LogMeIn doesnt always have to be so serious, you can use it for leisure activities as well. Change your color quality to HD during picture, music, and video playback to ensure that you get the best experience possible. With LogMeIn 4.1.0.4132 you can also remotely transfer files to and from your computer. Need to make some more changes to that paper? Just transfer the file from your remote computer to the computer that you are using to control it and you can begin editing away. Or if you would prefer to edit the document on the remote computer instead, but you’ll need to print it once it is finished, no worries; with LogMeIn’s remote print feature, you can print a document from your remote computer to a local printer without any new and unnecessary setup process.